Publishing is a risky business. Whether you opt for self-publishing or score a deal with a Big Five publisher, there is no guarantee that you will win lots of sales in the end. In an industry where going it all alone can be overwhelming and yet finding a publisher can be complicated, many unsuspecting first-time authors are easy prey for duplicitous companies. Cue the rise of the vanity press. 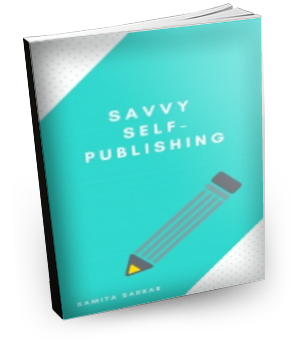 Vanity presses are “self-publishing” companies that charge for their services, such as editing and book design, but also take a portion of your book’s profits, and are the registered owner of your book’s ISBN. Whereas traditional publishers invest in the book, ask for no money upfront, and consider their readers to be their customers, the customers of self-publishing companies are authors; their interest is in selling you services, not helping you sell books. On the other hand, when you self-publish a book without using a third party company, the business model is restored and the customer is once again the reader. Because they charge exorbitant upfront fees for the book’s production, tie up authors in messy contracts, and also give out low royalty payments, it is virtually impossible for authors to turn a profit. Still, first-time authors fall for these tricks for the novelty of seeing their books in print and the hope of getting picked up by a traditional publisher someday. Although you’ve paid through the nose, a vanity’s lengthy, messy contracts put little onus on their responsibilities. The PUBLISHER reserves the right to distribute copies of the paperback and digital copies of said WORK, free of charge, to [media outlets]. …All matters concerning promotion and publicity in respect of the WORK shall be at the discretion of the PUBLISHER. Johnson’s contract isn’t a one-off. Below, I’ve included some troubling clauses from my own contract with a vanity publisher. IF FOR ANY REASON A CLAIM PROCEEDS IN COURT, RATHER THAN IN ARBITRATION, YOU AND WE EACH WAIVE ANY RIGHT TO A JURY TRIAL. YOU OR WE MAY BRING SUIT IN COURT ON AN INDIVIDUAL BASIS ONLY, AND NOT IN A CLASS, CONSOLIDATED OR REPRESENTATIVE ACTION, TO APPLY FOR INJUNCTIVE REMEDIES. Once I had signed with a vanity press, while I did hear from them quite often, it was never about the status of my book. It was about selling me more and more services. At my wit’s end, I went on Google and typed “vanity press name” + “scam” and spent an entire evening reading horror stories about the press I had signed with, and others. Email the vanity and tell them you wish to cancel your agreement. Many vanity press contracts require that if you terminate, you have to do so in writing. When your email is ignored, phone the vanity to get their response. Credit card companies prefer to intervene only after you have failed to resolve the issue on your own, so try your best to get some sort of reply. When the vanity refuses to honour your request, call your credit card company right away and file a complaint on the Better Business Bureau (BBB) website. Although your card company may issue you a temporary credit while the dispute is in process, know that vanity press contracts may have clauses that prevent you from seeking third-party help until a set number of days. The credit card company may have to wait before formally disputing charges. Two months after I sent my initial termination email, I received a response through BBB, wherein the vanity shark denied my complaints but implied it wasn’t going to pursue me further. I was free. What to do if you’ve already signed a contract and your book is post-production? While you retain ownership of the copyright, self-publishing contracts are messy. You do not own your ISBN, cover design, or typesetting, and upon termination, you’ll have to start from scratch with nothing but your manuscript. Still, it may be worth it for the greater royalty rate and control over your book down the road. Once your book makes a splash and publishers begin approaching you, there are measures you can take to determine their legitimacy. Make a hard-and-fast rule to never choose a publisher who demands both fees for publishing services and a percentage of royalties. Back out immediately if the publisher asks you how many of your own books you want to order. The reader is the customer. Not you. Never use the services of any publisher addressed at Liberty Drive, Bloomington, Indiana. This is Author Solutions’ address (a vanity giant once owned by Penguin), and is used by all of their imprints. If you feel you’ve got a book in you, but the publishing process seems overwhelming, don’t be alarmed. Writers do not need the “help” of a vanity press; true self-publishing is done through owning your own ISBN under your name or your publisher’s imprint, contracting out much-needed services, such as design and editing, and uploading directly to bookseller websites such as Amazon and iTunes. This is the best way for self-published authors to maintain maximum creative control. It may take longer than expected, but it will all be worth it in the end. It certainly was for me.